COWBOY CATCHIT BULL CALF IS FOR SALE. 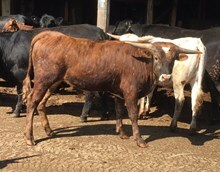 bred to Cowboy Catchit for 2015 spring calf. Had a 2914 RIO heifer.